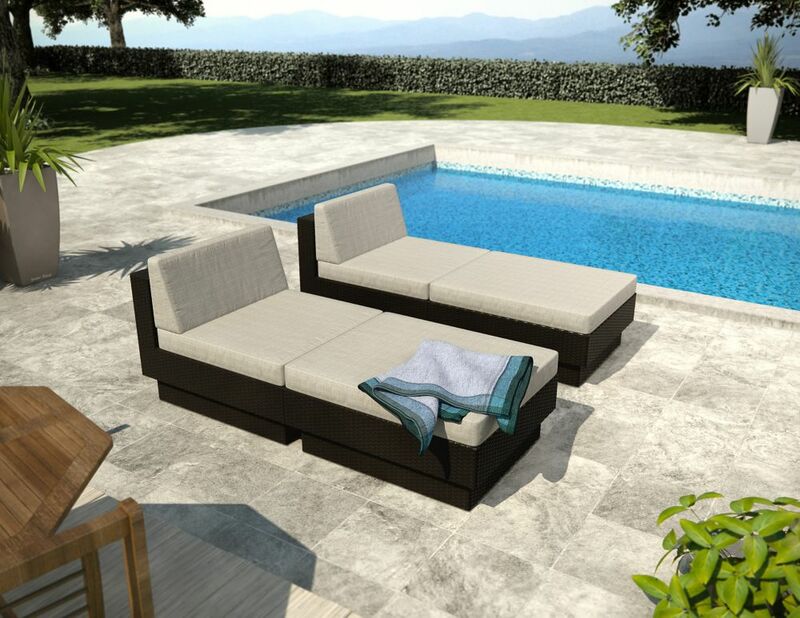 Relax beside the pool in the Sonax Park Terrace 4 Piece lounger collection this summer. Our Black textured Resin Rattan Weave is complimented by high quality, weather resistant foam seat cushions wrapped in zippered and washable Salt & Pepper covers. Sit comfortably on the armless chair or stretch out with your feet up on the complimentary Ottoman to lounge. Complete your set with toss pillows, available in five different colours, sold separately. Ready to use upon delivery, you can complete your summer with this comfortable patio set from Sonax. Relax in style and sophistication, and enjoy the outdoors with the Beacon Park Ottoman. A sturdy, rust-resistant frame supports intricately woven, rich brown wicker, and features a plush olefin cushion. Use as a standalone piece, or include other Beacon Park furniture elements to create a complete look. Park Terrace Black Textured 4-Piece Lounger Patio Set Relax beside the pool in the Sonax Park Terrace 4 Piece lounger collection this summer. Our Black textured Resin Rattan Weave is complimented by high quality, weather resistant foam seat cushions wrapped in zippered and washable Salt & Pepper covers. Sit comfortably on the armless chair or stretch out with your feet up on the complimentary Ottoman to lounge. Complete your set with toss pillows, available in five different colours, sold separately. Ready to use upon delivery, you can complete your summer with this comfortable patio set from Sonax.